Gold Bars in RDR2 are worth $500 apiece and what if you can get access to infinite Gold Bars? This Red Dead Redemption2 glitch can help you carry as many Gold bars as you can in the game. Among all the fast money making guides for RDR2, this is so far the best and the easiest way. We have explained step-by-step on where to find the glitch and how to activate infinite gold. Once you get to the marked location try the following steps and if it’s not working then head to another Gold bar location and perform the same. So let’s get started with the gold mining. Step 1: Pause the game, go to Settings then open the General section to turn off Autosave. Note: Create a couple of new saves so you can load again if the glitch doesn’t work. Step 2: Head to Limpany which is north of Flatneck Station and straight south of Valentine in New Hanover. Look for the Sheriff’s Station (southernmost building) and head inside to take left to find the lockbox under the desk. Step 3: Interact with the lockbox to open it and but DO NOT PICK anything. Step 4: Look at the Gold Bar inside and wait for it to prompt(lower right corner) of your screen changes to Gold Bar. Step 5: Pause the game again and create a new save over one of the ones you created in step 1. Step 6: Load the game you just saved. Step 7: The game will take Arthur away from Limpany, so head back to the Sheriff’s Office to find the lockbox open. This time Hold down Square/X and don’t let go until your satchel is full. Hint: Make sure you got the Legend of the East Satchel to carry 99 Gold Bars at once. If you are stuck with starting satchel, no worries you can still pick up 30 and sell to a Fence for $15,000. With Legend of the East Satchel, you can profit of nearly $50,000. 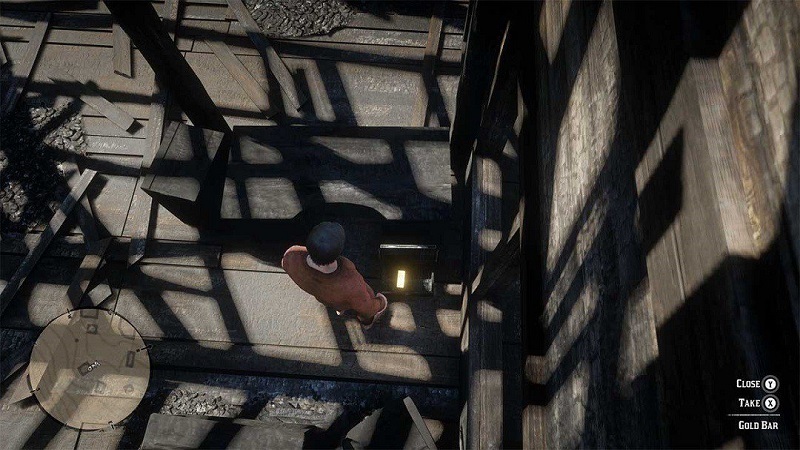 Let us know if you have any other Gold Mining trick in RDR2. Check out other guides for Red Dead Redemption 2 Cheats, Tricks, and Tips.